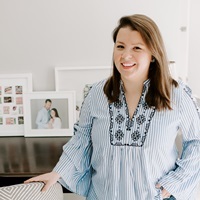 On Monday morning I did my normal check of the calendar to see what I had to look forward to the following weekend, and couldn’t believe Easter is already this Sunday. 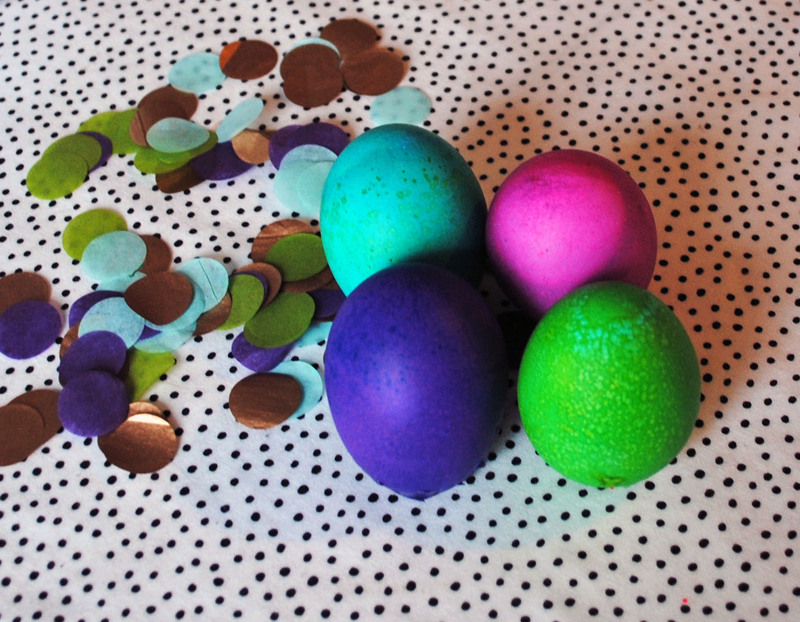 I can’t pass up an opportunity to get a little seasonal DIY in, and after getting some confetti from The Flair Exchange in the mail last week, I knew just the thing to use it for! 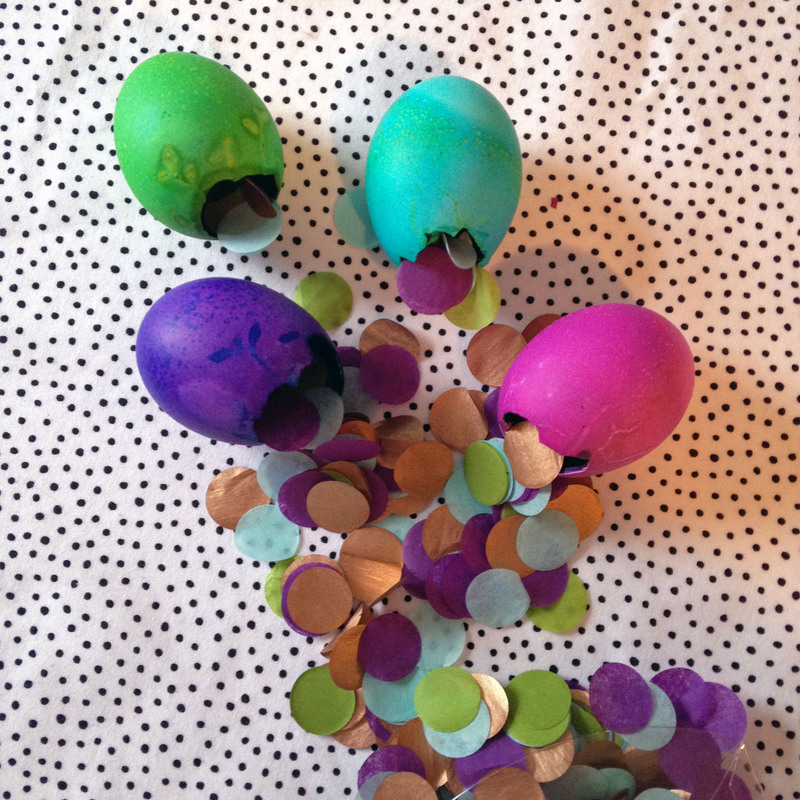 I made some confetti-filled Easter eggs that I’m kindly referring to as ‘confetti bombs.’ The idea is to crack them up for a fun little confetti surprise — a good way to amp up your Easter egg hunt! They’re simple to make; I started with eggs and lightly cracked the top of them on the counter, peeling back some of the shell to make a hole just big enough to drain the yolk through. Once they were emptied, I gave the inside a rinse and then popped them into cups of vinegar and food coloring. 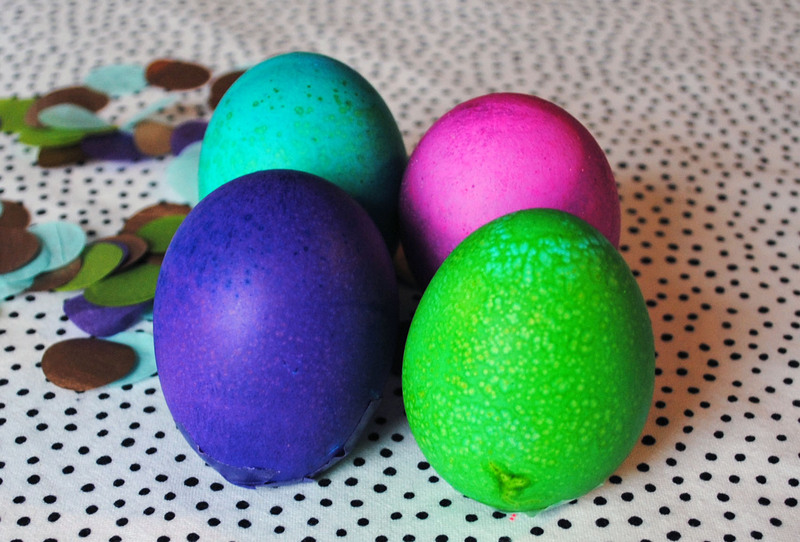 After the eggs are at your desired color, take them out and let them dry over night. 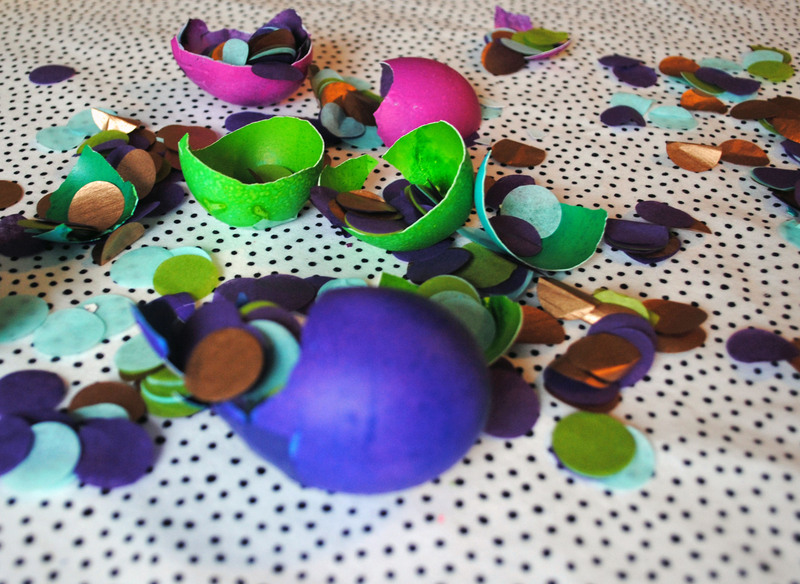 Then comes the fun part — filling them with confetti! I filled mine generously up with the confetti mixture until they’re almost all the way full. 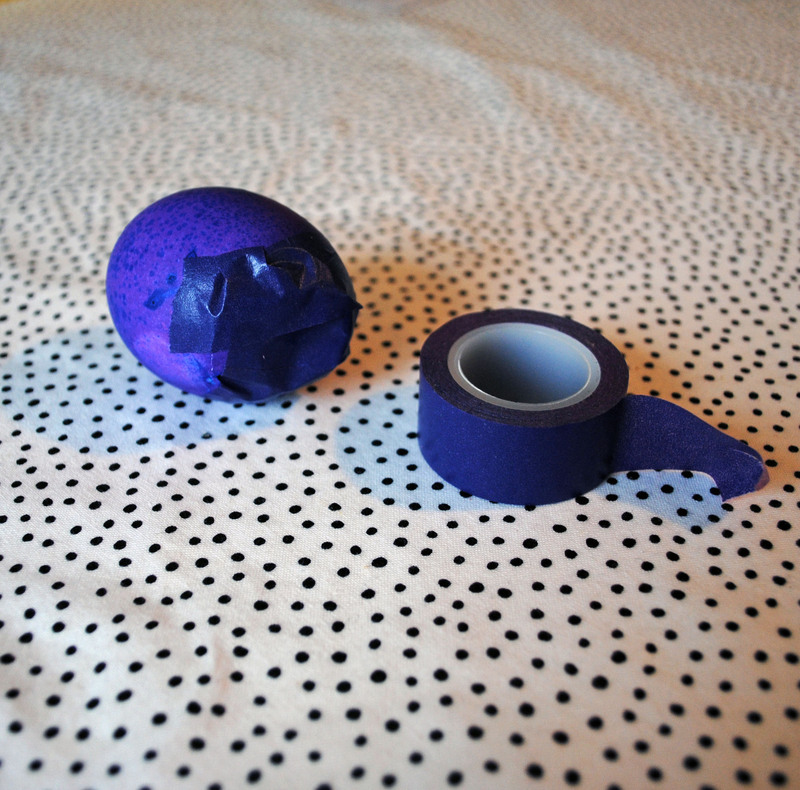 Then to close them off, I cut a small piece of washi tape in a similar color to seal them off (don’t worry if it’s not perfect, the tape will be on the bottom of the egg). 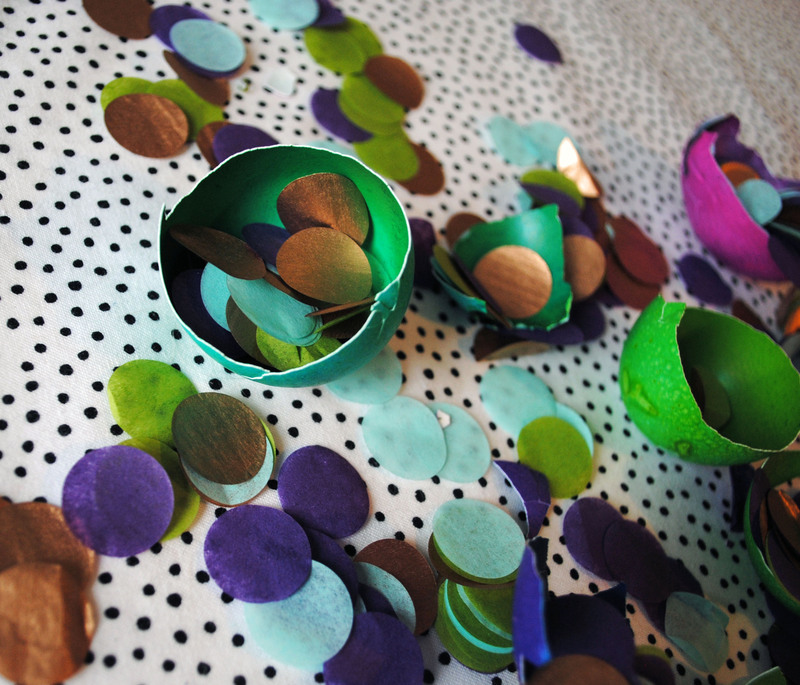 From there you can put them on display and then when the moment is right, give those little eggs a smash for a pop of confetti! 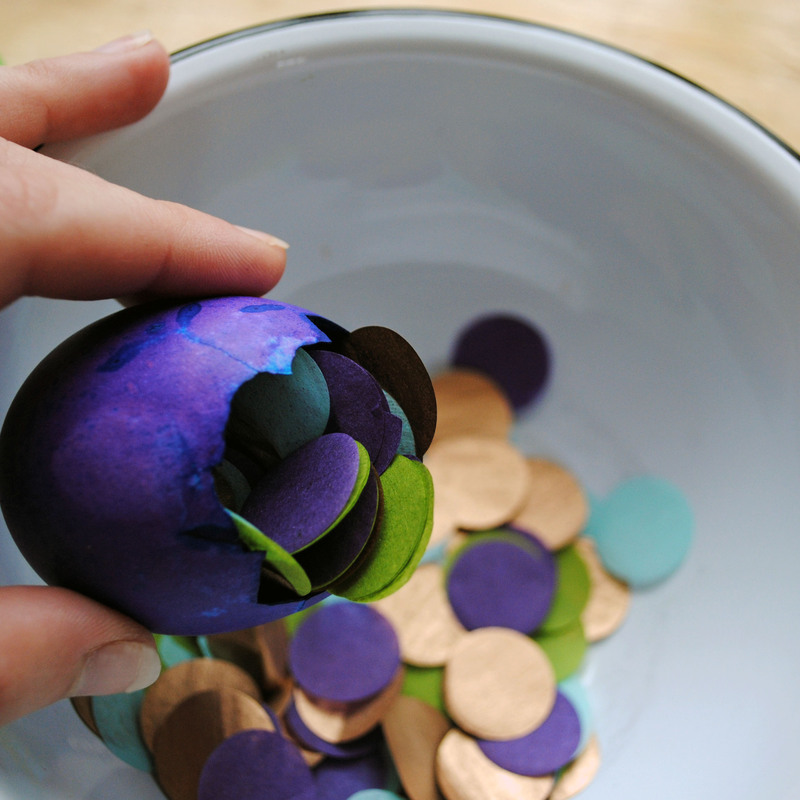 I guarantee this would be a hit with kids (given how much fun I had doing it as an adult!). Alden & Harlow. Orange & Basil. 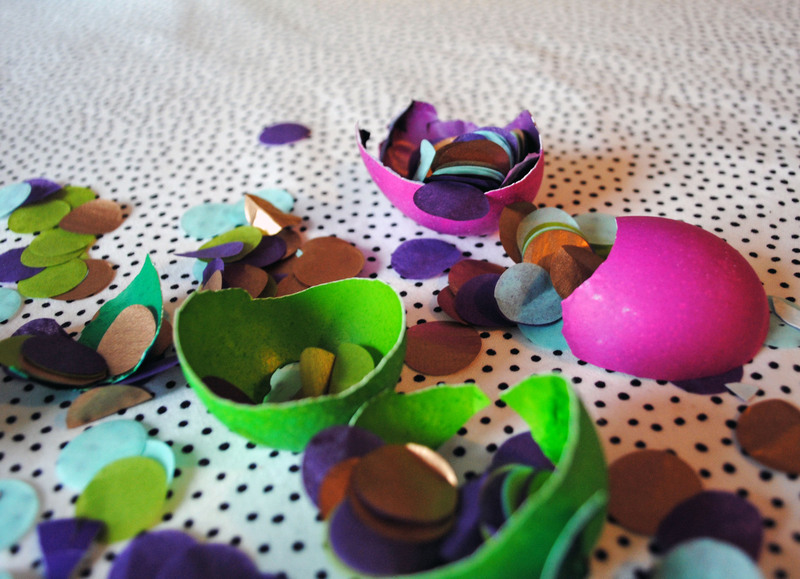 5 Responses to "Confetti Easter Eggs." 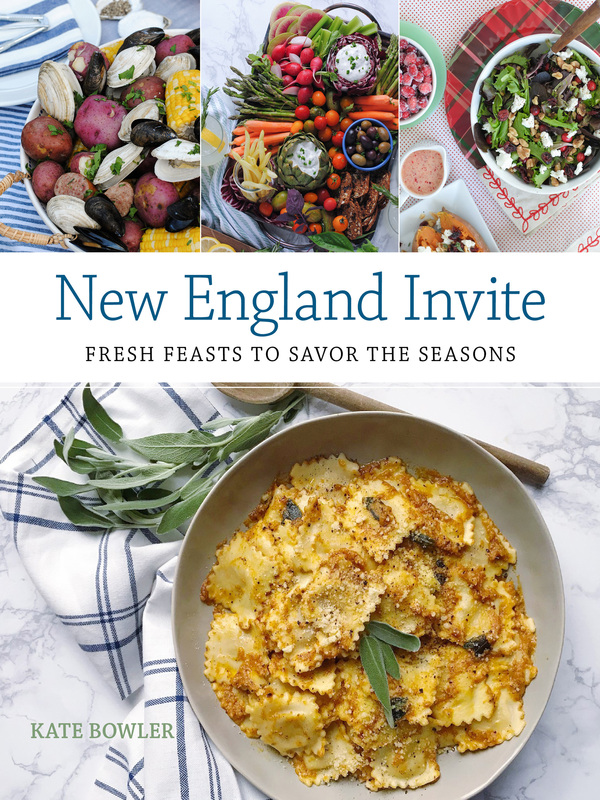 This is such a fun, festive idea! Happy Easter! Oh my goodness this is perfect. Such a cute festive idea!! I gave up dying eggs a few years ago when I bought brown eggs for the umpteenth time but this might change me.